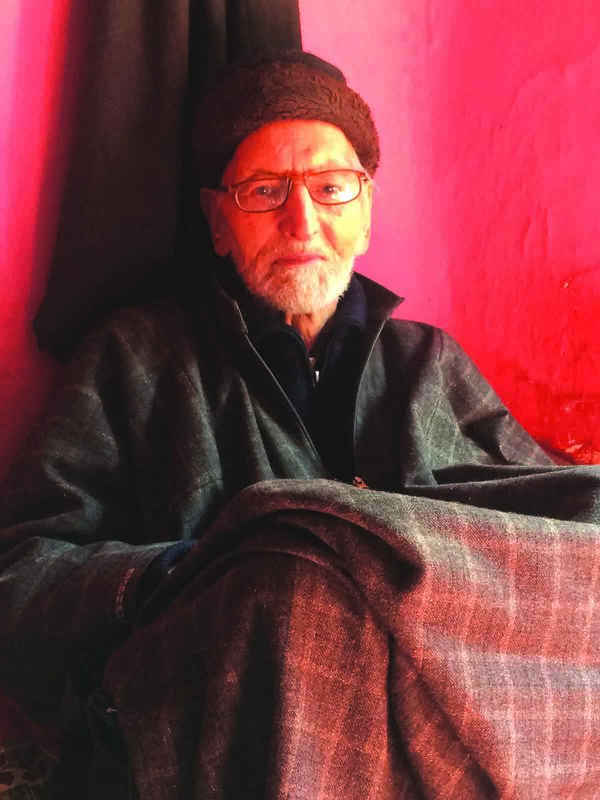 Bashir Ahmad Misger, an octogenarian, is the oldest surviving resident of Mlecch Mar, an old city locality bordering Aali Kadal. Abandoned by his lone son, he is managing his two ends meal for himself and his wife with great difficulty. But the economic crisis does not devour his pride of being the senior-most resident of Mlecch Mar, Islam’s first address in Kashmir. “You know this area is my identity,” Misgar said. 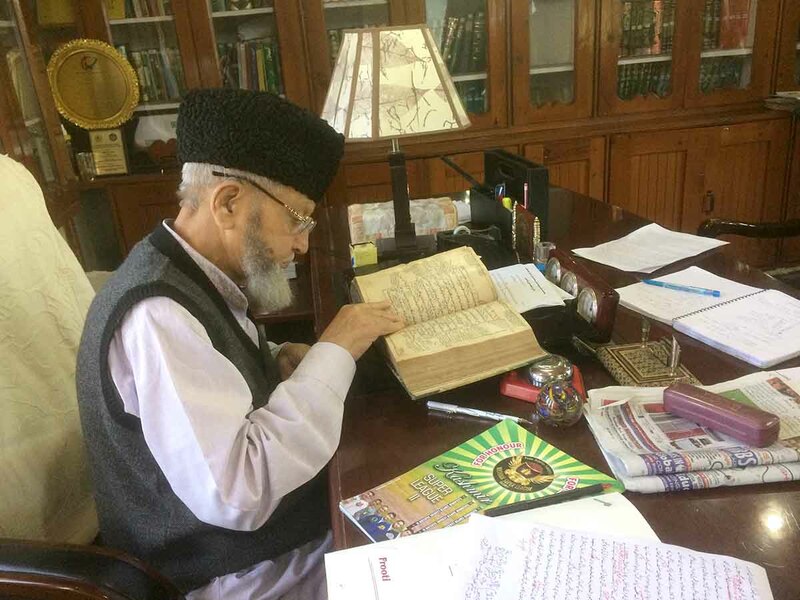 “We are among the people who first embraced Islam even before there was mass conversion when Hazrat Ameer Kabir Mir Syed Ali Hamadani came to Kashmir. 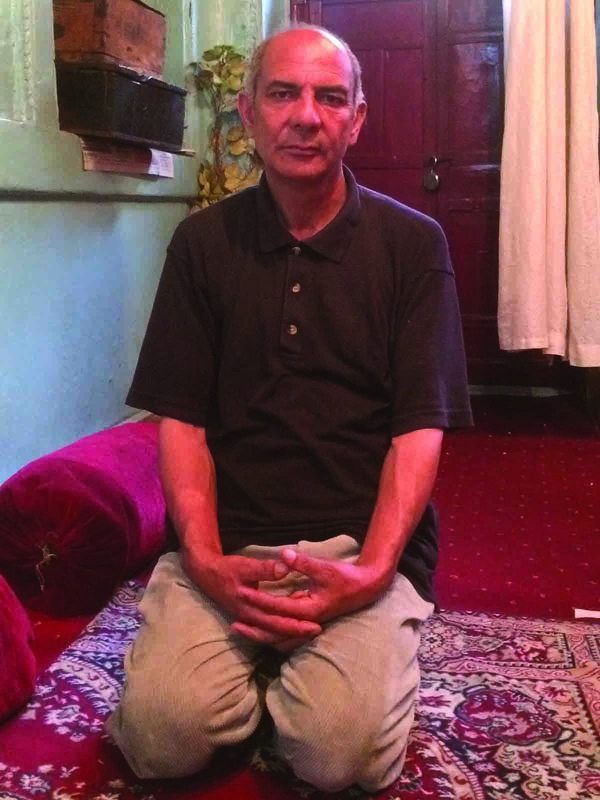 I am talking about the seventh century.” And to vindicate himself, he refers to the oldest one-room Masjid in his locality known as Rinchen Shah’s Masjid. Rinchan Shah, actually Lhachan Gualbu Rinchana, was a Buddhist prince from China, who became an iconic game-changer for Kashmir purely because of his opportunism. Son of reigning Ladakh king, he revolted against his uncle, was defeated and fled to Kashmir, along with his soldiers. Then, Kashmir was ruled by king Ramachandra. The valley was coming to terms with itself after it was devastated by Zulchu. Rinchanna sent soldiers in the guise of travellers to the king’s fort and took him his guards by surprise and ascended to the throne. He later married his daughter Kota Rani. Zareef Ahmad Zareef, Kashmir’s popular raconteur and satirist says that Rinchin knew that no faith was permanent in Kashmir. So he started searching for a new religion. This might have been the first such instance in which Islam got an official sanction and made its way into the governance structure of the place. The larger reality is that Islam predated this incident and existed in Mlecch Mar, much earlier. There are clear evidences of the existence of Islam in Kashmir almost four centuries ahead of the formation of Sultanate by Shahmiris. Ksemandra, Kashmir’s famous polymath of the eleventh century has made a “casual but intriguing” reference to the existence of Mleccha gayanah, the Muslim singers. Two centuries later when Kalhana penned his Rajatarangni, he has elaborately mentioned the presence of Mlecch soldiers in the armies of various kings. The oldest copy of locally calligraphed Quran dates back to 1237. Even Marco Polo traced the Muslims in Kashmir in 1260. Smallest and the oldest mosque in Srinagar’s Ali Kadal. It is not open for prayers. Kashmir has changed from Buddhism to Hinduism and finally to Islam. 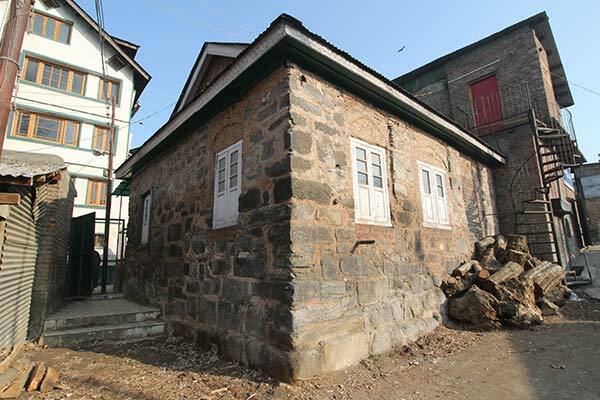 Botyaar and Bodgheer, in the old city, are considered to be the oldest Buddhist habitations in Kashmir. These two localities are said to have stayed Buddhist even after Hinduism flourished in Kashmir. Brahmins were influential, wealthy and elite. They actually ruled Kashmir. As the number of Muslims increased – they were mostly immigrants working as professional soldiers and the mercenaries, the elite Brahmins seemingly have, during Hindu rule, sought a separate place to the converted Hindus, the Mlecch’s. They got a location somewhere between Botyaar and Bodhgeer. The Brahmins started calling this locality, the ‘Mlaeech Mar’. Mlecch is Sanskrit word. It means impure. Most of the Sanskrit literature has referred to medieval era Muslims with this word. The ‘elite Brahmins’ were separated from Mlecch Mar by the main road of present-day Aali Kadal. But the divider vanished after the Muslim rule, during which mass conversions took place. The remaining Buddhist monks in the belt went back to Tibet and China. As this separate locality was in place, it got the first praying space, the single room mosque that Sultan Sadruddhin constructed. This Masjid still exists. So whoever would come to Kashmir, if he was a Muslim, Mlecch Mar was the address. In Zareef’s childhood days in Aali Kadal, the belt was an address of the elites: Muhammad Abdullah Tibet Bakaal, Muhammad Amin Gurkhoo, Nand Lal Talib (Persian poet), Raam Sudhir, who owned 900 houses in old city, Moti Lal Misri, broadcaster Ashok Jailkhani, Moti Lal Khazanchi, Bansi Lal Koul (Assistant registrar KU), historian Anand Koul Bamzia, and many newspapers owners. Since Mughal era, Mufti Bashiruddin’s ancestors migrated to Kashmir and settled in Mlecch Mar. 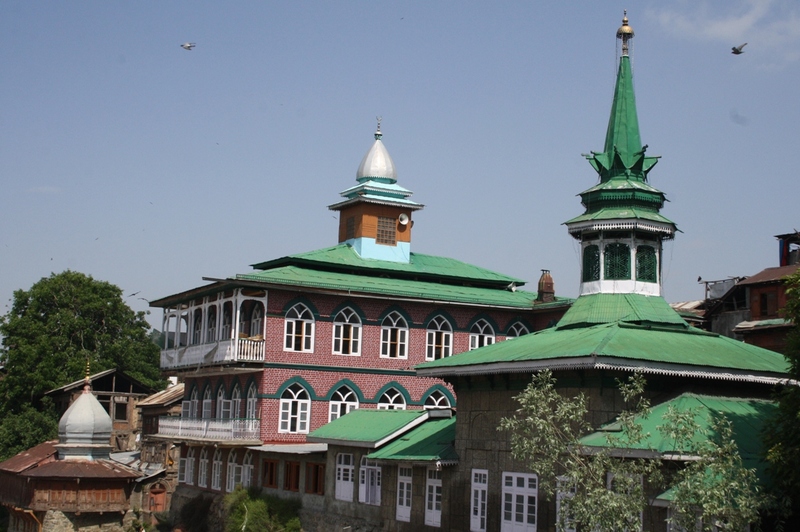 Mufti BashirudDin said the locality was the first place that had embraced Islam so his ancestors preferred to settle there during the reign of Aurangzeb Alamgir. Almost forty years back, Mufti’s family shifted to Soura along with their family court. He remembers his father saying him all the influential people, important in different courts of all rulers, belonged to Mlecch Mar. In the entire locality, however, there is one Pandit who stayed back. Ramesh Kumar Tickoo, 52, a private school teacher, remains busy either with his school or at a local Hindu shrine, Reshi Peer Shrine, where he is a caretaker. Tickoo is an orphan. He was living with his grandparents in the three storey house that is almost in the middle of the locality from Botyar side. His parents passed away in 1966, in an aeroplane crash and then his grandparents also passed away. Tickoo has memories of his grandfather telling him that his home in Botyaar was once part of China. This is an old mystery and no historian has any answers. “I have detached from the universe. I am alone,” Tickoo says while referring to his prostate cancer. His prostate was removed but his doctor told him that he can’t marry so he became a celibate. He takes care of the Hindu shrine in memory of Rishi Peer. Rishi Peer, a resident of Botyar (born 1637), was a famous Hindu hermit of his era who was very popular with Mughal durbar as well. He died in Srinagar in 1697. The legend is that he used his Khraw, the wooden sandals, to crawl in his old age. One of the pairs of sandals was destroyed in Srinagar massive conflagration in 1672 when 2100 house was reduced to cinders. The other sandal was a relic that went missing in the 1990s when migration took place. Mlecch Mar’s original inhabitants shifted from the area as their families extended and they could afford a better living. These included some names who are part of Kashmir history like Late Muhammad Sultan Khan, a close confide of late Sheikh Muhammad Abdullah and known for his vocals. Kashmir knew him as Sul Galwaan. His family shifted out in 1966, and the only reason was the family wanted to get rid of their past, the baggage of history. Galwan’s eldest son, septuagenarian Abdul Salaam is unwell. He needs a support to walk but he says he vividly remembers the days when his father was arrested for being ‘daring’ and ‘vocal’. His father was so close to Sheikh, Salaam said, that the government named the Rambagh Bridge in his name. When in jail, his family comprising his wife and six sons used to sleep empty stomach as they lacked any cushion. Galwan had spent around 31 years in different jails. So the responsibilities automatically came to Salaam, an illiterate, who was working as a labourer in food and supplies department. Salaam says only his father has the ‘honours’ of being arrested by all regimes: first by Dogra Maharaja and then by Sheikh Abdullah’s government also. He was arrested for raising his voice for black marketing in shali store. “He was a staunch supporter of Aazadi and Pakistan for Kashmir. That was the reason why even Sheikh Sahib’s government also arrested him but he was respected by late Mohiuddin Karra as well,” Salaam said. For Salaam, the only pride possession are the memories of his father’s valour. Salaam remembers the day when his father was given the responsibility of getting a crowd for the first huge rally in KMD bus yard in Srinagar for National Conference. “Maulana Masoodi was its general secretary and he had sent letters to all districts. My father was tasked to get as many people as he can get. So he raised a slogan: “we have to get Hari Singh’s head; seven bridges, seven tehsils have to be burnt down.’ Taking old city routes, it led to strong clashes between Hindus, traditional supporters of Hari Singh, and Muslims. The situation went out of control and when the news reached Sheikh Abdullah he was thinking of how to control the damage now, many people had gathering thinking that something big is going to happen, and since then the problems started between the Dogra Shahi and Sheikh Abdullah.” Salaam remembers no dates but the details. The incident later reached court where judges asked the NC leadership about the issue and they got an imprisonment for two years including Sheikh Abdullah but when the Judge asked Galwaan why he shouted the wrong slogan, he dared him saying he was right and he got an imprisonment for 27 years. But just two years later in 1947, all of them were released. Salaam says after the government change in Kashmir, “Bakhshi sahib was all love for us because he knew my father was honest. He even offered me a government job but I was very much afraid of my father so I did not accept the offer,” Salaam said. The locality has changed totally and completely. Its business model, population and landmarks have shifted. The area is mostly literate. 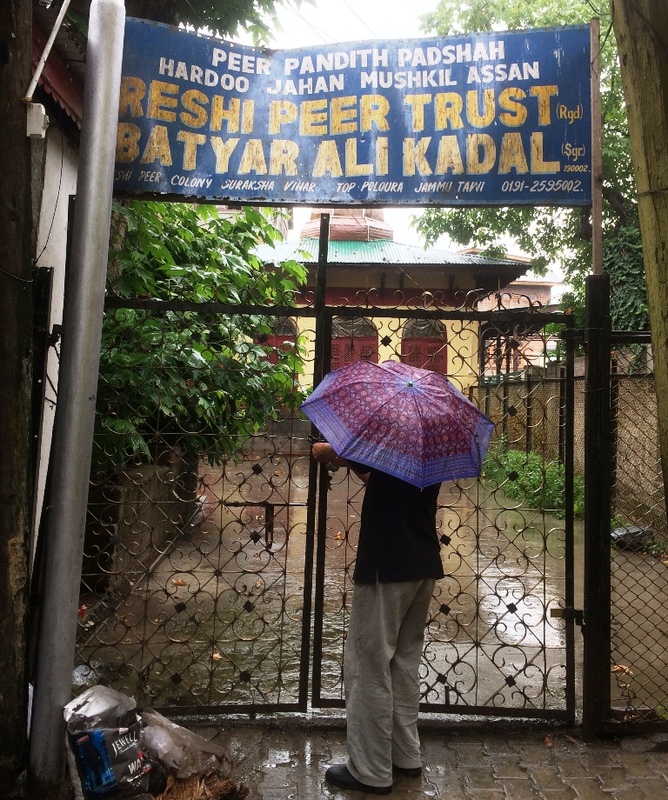 Earlier there were just two schools, one government and another private Islamic school but now more private schools made their forays into the area. The area also has four Masjids, and one more shrine of Owaisi Sahib, locally known as Woosi Sahib and an associated Jamia Masjid. The area has historical importance as the first bridge of old city, Aali Kadal was built over the river Jhelum in this area in1413-1420 by Sultan Ali Shah, the brother of Zainul Abiddin (Badshah). This shrine was built in Zainul Abiddin’s regime. The Owaisi Sahab is quite a legend. It is said that he was invited to watch a cultural show of dance and music by Zain-ul-Abidin on the completion of Zaina Lank, a manmade Island in the Wulur Lake. The saint was perturbed to watch song and dance and in reaction, he jumped into the lake. A frantic rescue failed to trace him. Dejected and heart-broken, the Sultan decided to return to Srinagar. During his upstream journey Zain-ul-Abidin, to his utter disbelief, spotted the saint near Asham, a place upstream of Wular, washing his Khirqah (dress of a religious mendicant) on the banks of river Jhelum. After having expressed regret, the Sultan made him embark on the boat. The boat journey concluded at Aali Kadal where the Owaisi Sahib spent the rest of his life in devotion to Allah. He lays buried there. The Aali Kadal bridge is a grand witness of Kashmir’s transition to Islam but in the last few decades, the ghats of the river that once presented serene look have now been taken over by the cloth washers. While it has deteriorated the serenity of the location, it offers the flip-side view of the changed times when rows of colourful clothes hang down for sun-drying. The belt is at the centre of the heritage bowl of Srinagar. To the south of the bridge is the Mohalla Rehbab Sahib wherein lies the relics of Peer Dastageer Syed Abdul Qader Jeelani and the Sehyaar Masjid where according to the locals of the area Rinchen Shah, saw Bulbul Shah pronouncing Azaan for the first time in Kashmir.